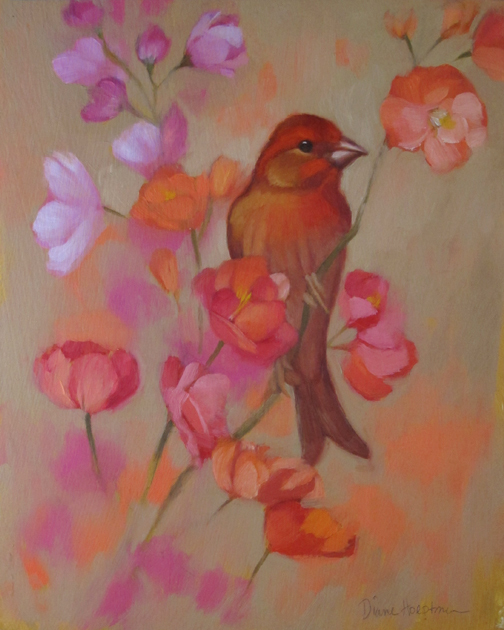 Red Bird Oil on panel, 10" x 8," $410. Thanks to all who advised on the kitchen re-do. It's appreciated. Have a great weekend! Perfect for spring time!! Beautiful!!! I love the colors. Bird is fine too. Gorgeous. Wow, so beautiful -- love the softness and of course the colors are amazing! It has kind of a depth of field feel, with the bird in sharp focus and the rest kind of blurred. Really cool work!